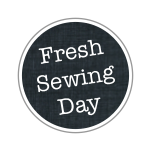 Wow I actually managed to link up this month for Fresh Sewing Day at Lily's Quilts! As you can see October was a busy old month for me. I was making and receiving goodies galore. 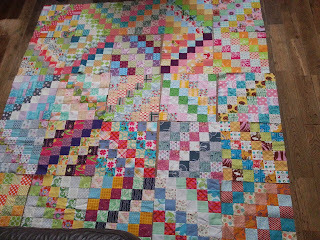 Like the gorgeous scrappy trip around the world blocks made by my wonderful, fellow bee ladies in Bee a Brit Stingy. It is going to be a splendidly colourful quilt! I made some blocks from a great wee book you may have heard of.... 500 Quilt Blocks by some ladies you may have heard of ;). I also treated myself ( maybe a bit indulgently) to the amazing Jen Kingwell's Green Tea and Sweet Beans pattern booklet. 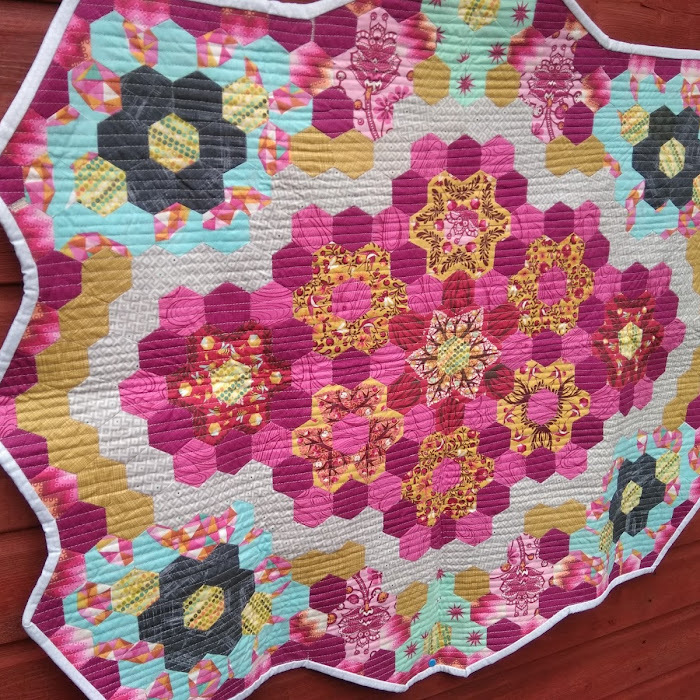 I am in love with this quilt and only hope I can do the pattern justice with my fabric choices! I got my copy from a lovely shop here in the UK called The Running Chicken. So what have you been working on during the good old month of October??? 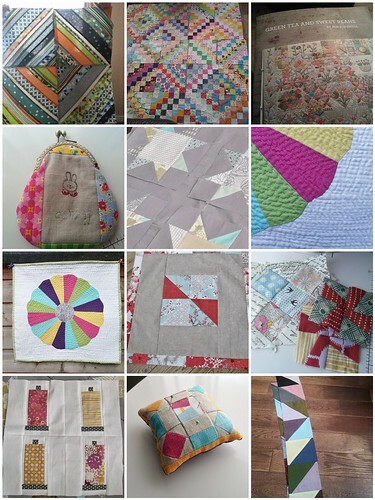 If you want to share then link up to Lily's Quilts and have a look around at what everyone else has been doing! 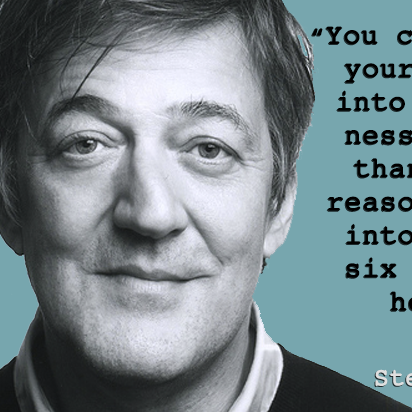 Ooh, you were a busy bee!! Your scrappy trip looks wonderful! Wow great month Collette with teaching too! Fab month for you then Collette and glad you've signed up for another Stingy year!